Welcome to Shipwright Services, your one stop Ships Agency, clearing and forwarding and logistics partner. We believe the client is King and we provide the best service for a swift turnaround to ensure all parties are happy. With this in mind we will strive to be transparent in our dealings, to ensure the best service always. Shipwright Services was born out of a desire to take Shipping back to its roots, where clients were king and work ethic was par for the course. With emphasis on onboard attendance, full service and personalized reporting. Included will be stockpile oversight (if required / Possible ) This will assist with to give accurate cargo availability and reporting, for proper planning. We also believe in transparency, and will always provide this to our clients. With a few like minded individuals’ support as well as support of his family, Shipwright Services was born. The aim is not to be just a Ships Agency, but rather a full service one stop shop. We want to be able to assist from logistics getting cargo from the mine, to the loading and any other service that may be required. With a vast network of surveyors, consultants and service providers, we are in the best position to give you the service required, on the Customers’ terms and therefore streamlined to suit your needs. We are lucky enough to already have a few strong individuals onboard and will hope to expand the team as the business grows in the future. We are also level 4 BEE with near future plans to increase to Level 2. With over 13 years of Stevedoring and Ships Agency experienced, we will be able to provide the best service possible. We will focus on Ships Agency, Husbandry matters, as well as related Shipping matters, where required. With a network of like-minded individuals, we will be able to assist with all Shipping requirements, from Mine to vessel. As the company grows, we are looking to put back into the community and looking to start a learnership in the near future. With the assistance of the IDZ, we want to find like minded individuals in the local community and give them the tools and assistance to make a future in Shipping. Like our motto states - SHIPPING DONE RIGHT! Let Us help you in your shipping needs! Handling of all formalities with regard to the cargo operation. Liaising with Shippers to ensure cargo availability on berthing. Handling of all cargo documentations, including SOF, BOL and NOR. Strictly there to assist Owners and assist with ensuring all formalities and loading done as per requirements. We handle all Customs requirements to clear cargo for export, drawing up of cargo manifests, Mate’s receipts and BOL’s. Assists with cargo dues after vessel sailed and submitting final docs to Customs. We can assist with any logistic issues in moving cargo from plant to quayside. This includes transportation / finding suitable storage, and stockpile management. Assists with Owners requirements, Bunkers, Crew changes, Doctor visits etc. We will meet with clients, and streamline the reporting to suit there needs and requirements. Standard reporting includes, Berthing report, twice daily loading updates, updates at key times during loading operation, Commencements, grade changes, draft surveys and any other significant times during loading or offloading. Lastly sailing report with all relevant cargo docs. To provide Port line up and any other Port updates. This to be sent out 2 or 3 times per week. We will be your one point of contact, and will arrange and liaise with all parties concerned. Ensuring you peace of mind, and only one central contact. This will streamline the operation, and give you peace of mind. Any additional assistance not covered we will be able to assist and find the relevant service providers for you. We can assist with all agency types required, Port, cargo or Owners agency. As fully independent Port agents we will provide all services to ensure a smooth and timely berthing and sailing of vessel. We will liaise with Cargo agent to ensure all cargo available and delivery to vessel done as swiftly as possible. As the Cargo agents we will provide a logistic solution, to ensure vessel is loaded swiftly, and all paperwork is done to clients specific instructions. Provide clearing and forwarding service to ensure documents passed by all relevant parties. We will liaise closely with the Port agent to ensure vessel berths within the parameters set in the C/P or booking note, and to ensure swift loading and completion of cargo. This includes relaying specific instructions to Port agent to relay to vessel, with regard to stowing of cargo, grades, or any other specific instructions. This service will be for Cargo owners or vessel Owners, to ensure their interest is protected on a vessel. As the Owners supervisory agents we will oversee loading operation and ensure all parameters are met, as set out be the client. As the Full agency on a vessel’s port call, we will be able to combine the above, to ensure all parties’ interests are looked after and the vessel and Port call is done swiftly and the most cost effective. One agent also keeps costs down, as we will be able to provide a more competitive DA. As part of our one stop shop service, we have acquired a network of service providers to assist with any and all requirements on a vessel. Specialised personnel to assist with cargo loading, as well as inspections prior loading. Stevedore companies are specialised in the loading and offloading of all cargoes on vessels. We have a local P&I surveyor as well as qualified independent surveyors we can appoint to assist with damage reporting. 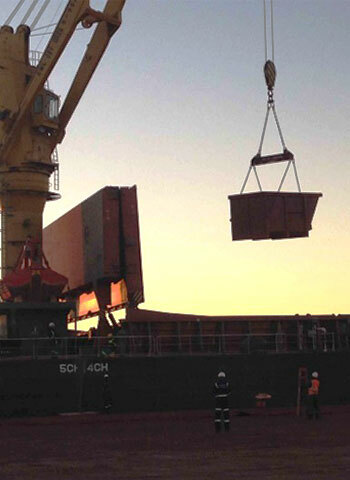 Qualified surveyors to assist with Pre load surveys of cargo, whether bulk to break bulk. Onboard tally services to count and record break bulk ( coils, granite etc. ) loaded onboard. Full report on completion. Owners can appoint qualified on / off hire surveyors to do full inspection including bunker figures if required. Appointing independent surveyor to do draft surveys with Shippers appointed or vessel appointed. Local P&I surveyor to assist with all P&I related issues onboard a vessel during her Port call. Independent Surveyors to assist with Pre load inspections, to insure holds are up to Shippers requirements. Surveyor can be appointed on behalf of potential buyer, to inspect vessel or cargoes prior the sale. All major Class surveyors are in Cape Town and we can assist in appointing the correct one for any Class surveys. Shipping Done Right! Stay Informed! 6 Years experience at BPO, starting as Foreman and later ops supervisor. 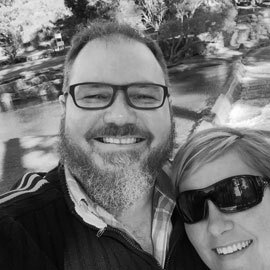 Moved to Rennies Ships Agency in 2006 and promoted to ops manager in 2014 and left in Feb 2017. Experienced in Port operations, and had multiple key clients in his portfolio. Long standing relationship with various Shippers and Shipping lines. High work ethic with attention to detail, and client come first ethos. 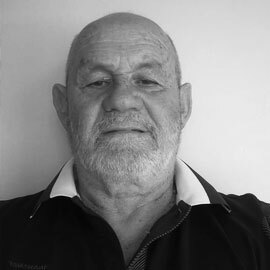 Heinrich is also Owner of Enlee Stevedoring, a 100% BEE Owned company, and brings with him a wealth of experience in Stevedoring and cargo loading. Freddie is well known in the Shipping community in Saldanha Bay. 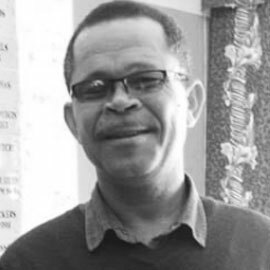 Retired now, he was the Branch manager of BPO for 28 years, with over 33 years working at BPO ( Then called South African Stevedores ). He was instrumental in the Black Mountain business from setup of facility to his retirement. Also part of the Team that procured the Tronox and and Saldanha Steel business. © 2017 Franco Adams Design Studio.